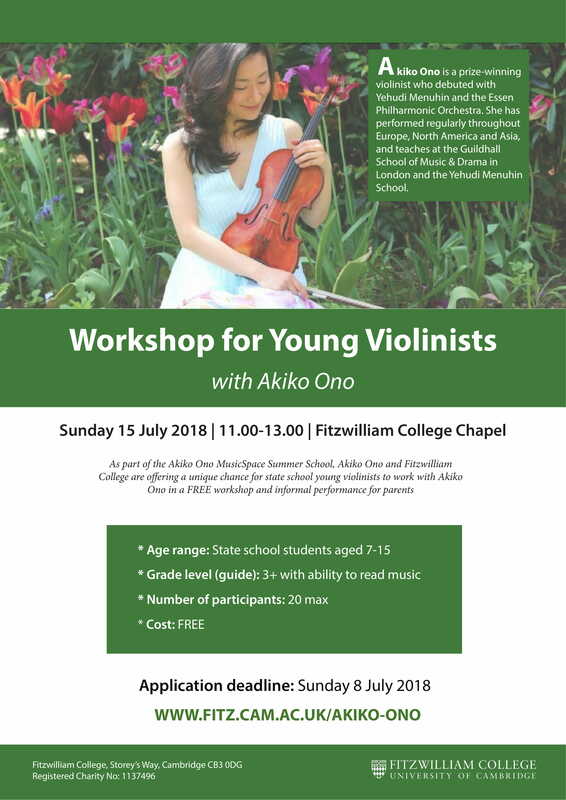 As part of the Akiko Ono MusicSpace Summer School, Akiko Ono and Fitzwilliam College are offering a unique chance for state school young violinists to work with Akiko Ono in a FREE workshop and informal performance for parents. Akiko Ono is a prize-winning violinist who debuted with Yehudi Menuhin and the Essen Philharmonic Orchestra. She has performed regularly throughout Europe, North America and Asia, and teaches at the Guildhall School of Music & Drama in London and the Yehudi Menuhin School.